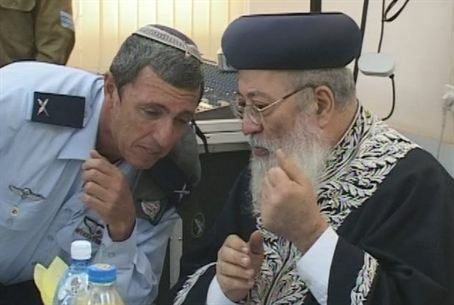 Knesset set to allow Rabbi Shlomo Amar to serve a second term as Sephardi Chief Rabbi. Rabbi Shlomo Amar may be heading for a second term as Sephardi Chief Rabbi of Israel. The Knesset’s Internal Affairs Committee has approved a law that would allow Chief Rabbis to serve two consecutive terms. The law is expected to pass a third and final reading in Knesset on Wednesday. The law is expected to pass thanks to an agreement between the Likud and Bayit Yehudi (Jewish Home) factions. Bayit Yehudi voted for the “Amar Bill” in exchange for Likud concessions regarding the committee that selects chief rabbis. Likud had proposed that Prime Minister Binyamin Netanyahu select the ten rabbis who serve on the committee. Under the new agreement, Netanyahu and Bayit Yehudi head Minister Naftali Bennett will each select five. Bennett will also select the 10 public figures who, along with the rabbis, choose the next Chief Rabbi. Bayit Yehudi is hoping for the election of a religious-Zionist Ashkenazi Chief Rabbi.